Being on a private car tour Hong Kong gives you the perfect opportunity to visit the noonday gun in Causeway Bay! Travelling by car and driver Hong Kong, it is very easy to stop by at the noonday gun and experience a piece of colonial history life! 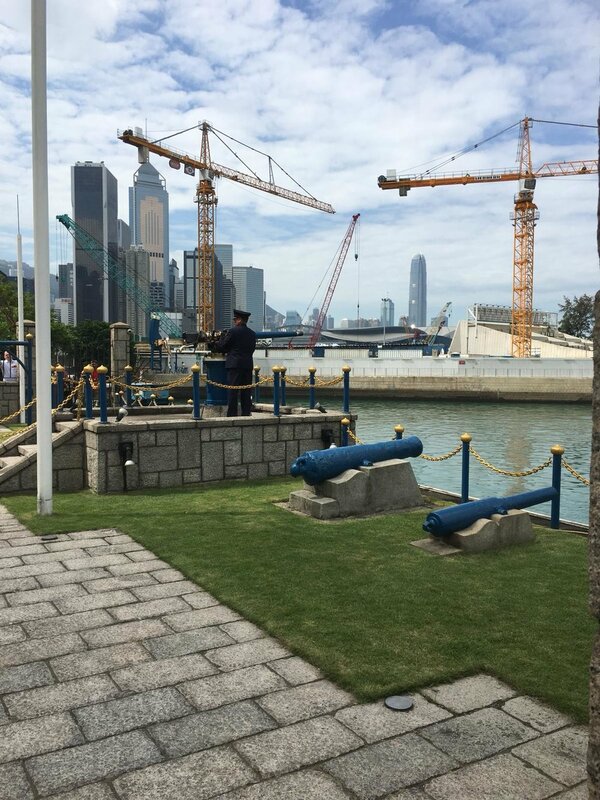 The Noonday Gun has its roots in a 21-pound gun that Jardine Matheson set up on the waterfront of their commercial fiefdom. The original gun was dismantled by the occupying Japanese Imperial Army in 1941. A new gun was donated by the Royal Navy after Hong Kong was liberated in 1945; this gun (humorously enough) received noise complaints and was replaced by the current, smaller gun in 1947. This gun has a history of its own, having seen action in the Battle of Jutland during the First World War. Ask the guides on your private Hong Kong tours about the legend of the noonday gun. If you are not on the Hong Kong city tour bus but booked your own car tours Hong Kong we can arrange your Hong Kong tour itinerary with a visit to the noonday gun!